Pulling off an all-white interior is not as easy as it seems. When sticking to one colour only, you run the risk of your kitchen falling flat. The trick here is to make sure there is a mixture of differing tones and texture. This will prevent the space from appearing "cold" and clinical and adds so much dimension to the area. 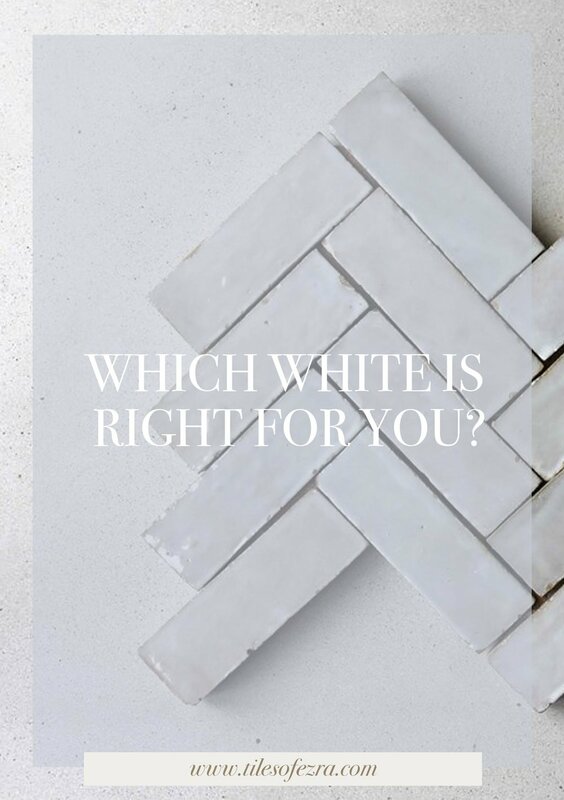 Our advice is to use a myriad of different whites in thoughtful and unpredictable ways to create interest, excitement and depth. Let's take a look at Studio Ezra's "Elsternwick Escape." This is actually the home of Tiles of Ezra founder and director Georgia Ezra. Georgia absolutely nails the all-white aesthetic. At first glance, you see a beautiful, light kitchen, but delve a little deeper and you will see a myriad of varying tones and textures. There are six different tones of white that make up the ‘white’ of her kitchen. There’s the crisp white of the window frames, the white of the walls, the white on the ceiling, the variation of whites in her mosaic splashback, the caesarstone benchtop, the cupboard fronts below the bench and the cupboard fronts above the bench. This tonal variance brings warmth to the space and prevents it from appearing stark or lacking that depth of dimension. We love the home of Tiles of Ezra director Georgia Ezra, seemlessly executing an all white kitchen. Undoubtedly, the most striking feature of the space is the use of Moroccan zellige mosaics as a splashback. There is so much variation in every single piece that constitutes each sheet of zellige mosaic. Use zellige tiles to bring warmth, character and charm to the kitchen.